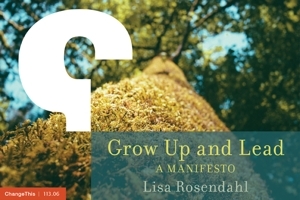 Lisa Rosendahl — Let's Talk. Let's Talk About Discipline. Let's Talk. Let's Talk About Discipline. How does your organization communicate it's position on discipline? Does your organization have a stance on discipline? If so, is this communicated or just a supposed "known" in the culture? Is determining an appropriate level of discipline left solely to a supervisor's discretion? How are supervisors trained? How are they synchronized? Are they synchronized, calibrated, or whatever to ensure consistent organizational responses to similar situations? Should they be? Where does supporting supervisors start and ensuring equitable, reasonable and respectful treatment of employees end, or vice versa? Are they mutually exclusive? What role do you, as an HR professional, have in the disciplinary process beyond the technical processing of an action? Do you advise? Do you offer your $0.25 and let the final decision fall with the supervisor or are you an integral part of the decision making process? If so, are you part of the process to the degree where if you don't agree with the action it does not proceed? If you are unionized, what percentage of your disciplinary actions are grieved? What percentage of grievances are denied with the original discipline sustained? What percentage are granted with the discipline reduced or even vacated? What percentage are resolved at the lower steps and how many are pushed as high as they can go? How do you fair in arbitrations? Is the disciplinary process achieving it's intended goal. What is the goal by the way? Does leadership as a whole agree? Did you ask them? What did they say? Do you tire of trying to make sense out of the non-sensical? Let's talk. As leaders, we must.